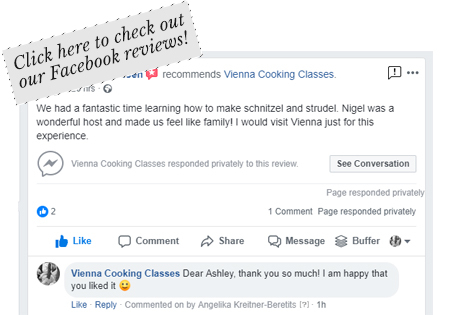 We offer Viennese cooking classes for larger groups in several languages. Whether you plan for a travel group, a special celebration or a business teambuilding workshop, we got you covered! Your cooking class in Vienna combines learning in a hands-on setting with culinary joy and lots of fun. Our goal is to make you feel at home in Vienna! 😉 Our chefs share their secret granny tipps and family recipes for Viennese Cuisine specialties. At our Art&Strudel program we also offer a guided tour to Hundertwasser museum prior to our nearby cooking class. For smaller groups from 2-8 people, please check out our cooking classes in private homes. Parking possibility: for tour busses close to the cooking studio. 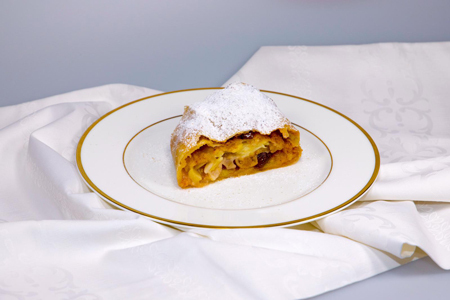 Watch live how the famous traditional Viennese Apple Strudel is made from scratch. Join us for a tour to Hundertwasser museum with an experienced travel guide. After the museum, the group is guided to our Apple Strudel baking show in the cooking studio close to the museum. Guided hands-on cooking class for Apple Strudel and Topfenstrudel from scratch. The participants learn how to make the famous Strudel dough themselves, which is also perfectly fine for beginners. 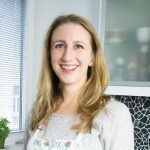 Guided hands-on cooking class with Semolina Dumpling soup, Viennese Schnitzel or Tafelspitz and Apple Strudel or Kaiserschmarrn from scratch. Guided tour through Vienna’s most popular food market, the Naschmarkt and hands-on baking class for Apple Strudel from scratch in nearby cooking studio. Guided tour through Vienna’s most popular food market, the Naschmarkt and cooking class with Semolina Dumpling soup, Viennese Schnitzel or Tafelspitz and Apple Strudel or Kaiserschmarrn from scratch.